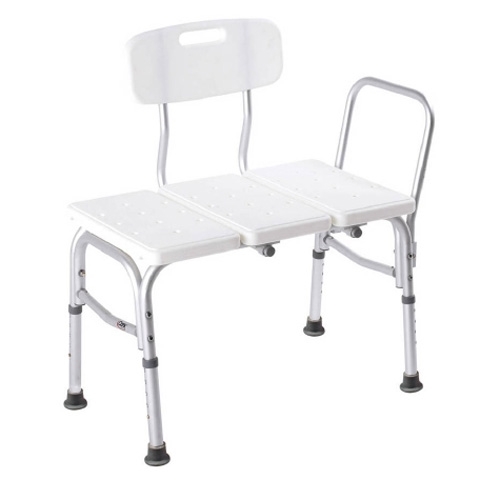 Carex Classic Transfer Bench is an economical and safe option for bathtub transferring. It has a 300-pound weight capacity. This transfer bench features a reversible back for left or right handing bathing entry and an oversize handle for added safety. 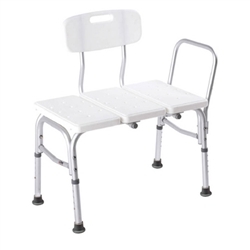 It comes standard with an adjustable seat height, non-slip surface on the seat and back, and oversized slip resistant tips for increases safety.